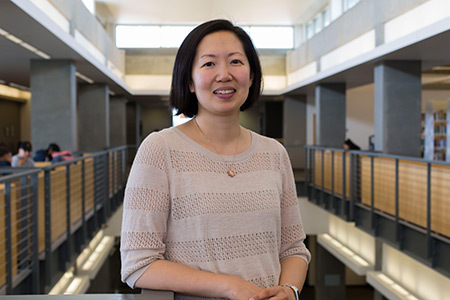 The UC Merced Library’s digital assets team is playing an important role in providing access to a swath of modern history that will contribute to research and society. The team has been asked to digitize about 127,000 pages from 49 archival collections related to the early days of the AIDS epidemic in the San Francisco Bay Area as part of the AIDS History Project, which is being funded by a two-year, $315,000 Implementation Grant from the National Endowment for the Humanities. The project is a joint effort of the Archives and Special Collections department of the UCSF Library, the San Francisco Public Library, and the Gay, Lesbian, Bisexual, Transgender Historical Society. The AIDS epidemic was one of the most significant public health events of the late 20th century and continues now. San Francisco was particularly hard-hit, in part because by the early 1980s, it had become a welcoming place for gay men who moved from throughout the country to experience a flourishing gay community. This same diaspora also fueled the development of unique community-based organizations to care for the sick and dying, as well as unprecedented modes of political activism. Desperate patients hoping for a cure, supported by newly formed community organizations, held protests and sit-ins at medical conferences, shaking up the world of medical research. Art and literature, too, most notably the AIDS Quilt, were created out of the grief and loss caused by the epidemic. Beginning in the mid-1980s, San Francisco witnessed the development of a highly effective collaborative network of city and state agencies, hospitals, health care providers and community groups that, through a goal of putting patients first, became known as the “San Francisco model” of compassionate AIDS care. 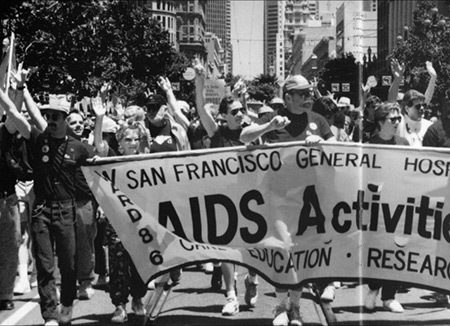 In the late 1980s, UCSF and others initiated the AIDS History Project to help forge relationships between historians and the AIDS community to document and preserve the lessons and experience of the AIDS epidemic. They have selected collections from three archives that will contribute to an understanding of the medical, social and political processes that merged to develop effective means of treating people with AIDS, educate the public about HIV, create social support organizations for people who were often shunned by family, and advocate for a community that was dying at an alarming rate. 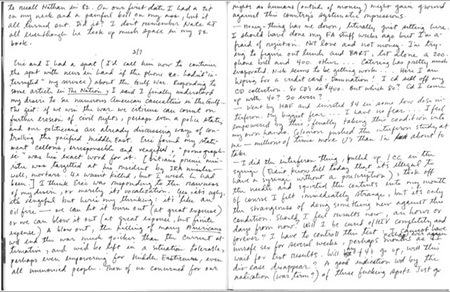 The 127,000 pages include handwritten correspondence, personal notebooks, typed reports, agency records, printed magazines, photos, negatives, transparencies and posters. The effort will digitally reunite these collections and make them available publicly and globally. Each of the items in the collections will be carefully examined for privacy concerns, but once they are determined to be ready for release, they will be disseminated broadly through the California Digital Library, with the objects freely accessible to the public through both Calisphere, operated by the University of California, and the Digital Public Library of America. UC Merced will also host an exhibit and public symposium in the second year of the grant, to amplify outreach efforts. “It is important that such collections — documenting a central, if difficult, part of our nation's history — be exposed to as wide a public as possible,” said Scott H. Podolsky, M.D., professor of global health and social medicine at Harvard University and director of the Center for the History of Medicine at the Francis A. Countway Library of Medicine.